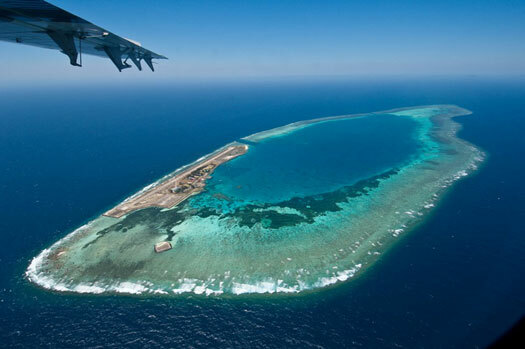 Located in the Spratly Islands in the South China Sea. Transfer time from Kota Kinabalu airport on Borneo is around 90 minutes by private flight. 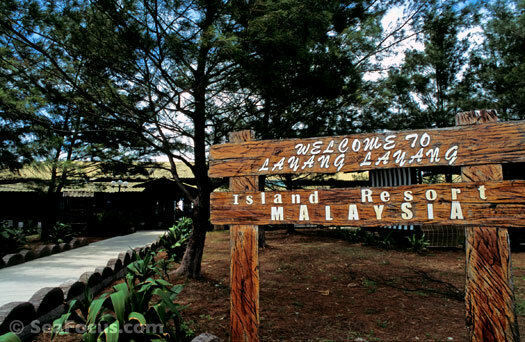 THE RESORT | Layang Layang is a man-made island located in the isolated Spratly Islands in the South China Sea. 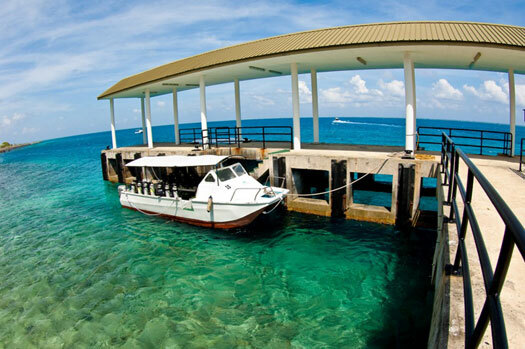 Built originally as a Naval Base when Malaysia claimed the atoll, these islands and atolls are highly isolated, which is of course part of the attraction for divers – and marine life. Transfers are from Kota Kinabalu, the capital of the state of Sabah on Borneo. The views as you arrive on the charter plane are very impressive with a clear vista of the loop of reefs that enclose the oval atoll. This measures about five miles by two and the tiny island perches on the southeast edge. Transfers from the airstrip to the reception area involve a gentle wander over the tarmac and past a few coconut palms and trees strung with hammocks. 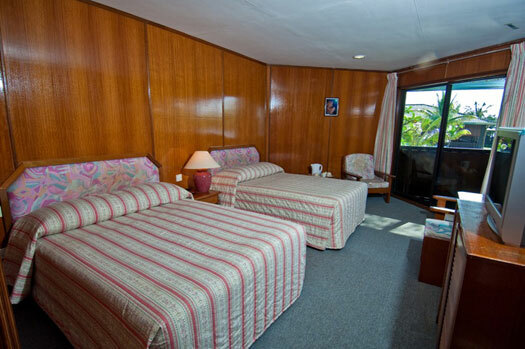 The resort itself was built quite some time ago and still reflects the original style. The intention was to give it the feel of a Borneo Longhouse, while most Americans or Australians would describe it as a country motel. The long, wooden buildings sit in rows that almost traverse the island from one side to the other – it's a very narrow strip of land! Each room has a balcony that faces the sea. The rooms are large and well equipped with ensuite bathrooms, air-con, a fridge and tea and coffee, perfect for early risers. The decoration is a bit old-fashioned and if you get a noisy neighbour, you will hear them, but otherwise the rooms are very comfortable. 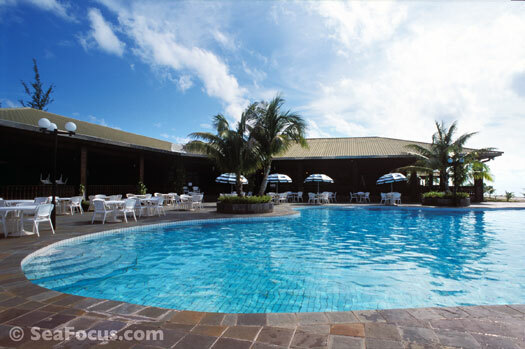 There is a splendid swimming pool that borders the lagoon, a spacious restaurant, a small bar area beside reception and a conference centre. The restaurant was particularly good with all meals served as buffets but always with a large variety of dishes to choose from, both international style and Asian. Tables and chairs are set up outside under the stars in the evening. 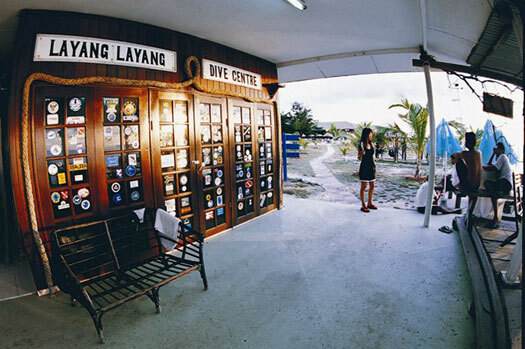 There is nothing to do on Layang apart from enjoy the sea or swing in a hammock and read, although for bird lovers there is the opportunity to watch the sea birds on Bird Island at the far end of the landing strip. This small space attracts a range of seabirds, including egrets, terns and boobies. 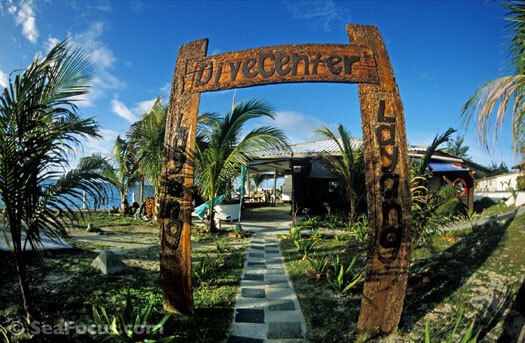 THE DIVE CENTRE | The resort dive centre is just beside the pool and only a few seconds stroll from the rooms. There is a simple kit storage area with individual baskets on racks and rails to hang suits. We did not hire equipment but there is a stock of items for those who need them. The staff and crew are all Malaysian and very helpful, although the ones we dived with have probably moved on by now. Boats are modern catamarans, all with good shade cover. There are no facilities on the boats but as dive sites are rarely more than 15 minutes away, they mostly return to the centre between dives. There are 3 boat dives scheduled each day but you can also dive in the lagoon as long as you have a buddy with you. 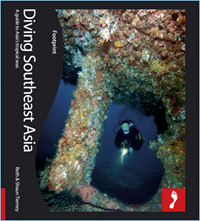 Night dives are extra and subject to minimum numbers and weather conditions. UPDATE | The following information has been supplied by Lawrence Lee, Marketing Manager for Layang Layang. "Since Beth and Shaun visited we have built a new, extended jetty with shade cover, which makes access to the dive boats easier for guests. We also added a camera room and video facilities for those who would like to use them. 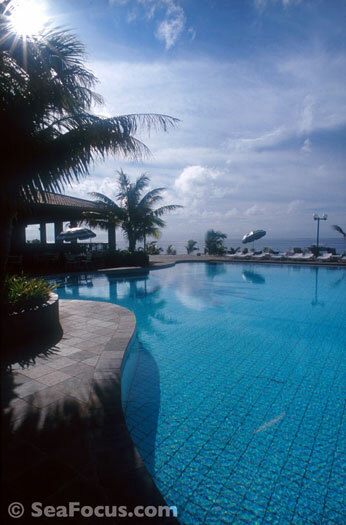 Apart from that, the resort still focuses on the same level of service for our guests."